If you asked me to choose my FAVORITE type of account to invest in, it would definitely be the Roth IRA. Roth IRAs allow you to save money tax free for the rest of your life. They’re not subject to mandatory withdrawals in your 70’s, and your kids won’t even owe taxes on their withdrawals if they inherit the account from you down the road. In my opinion the Roth IRA is just about the best deal out there. Problem is, they’re not accessible to everyone. The IRS considers Roth IRAs such a good deal that they won’t let you contribute to one if you make too much money. Fortunately, there’s a work around: the backdoor Roth IRA conversion. 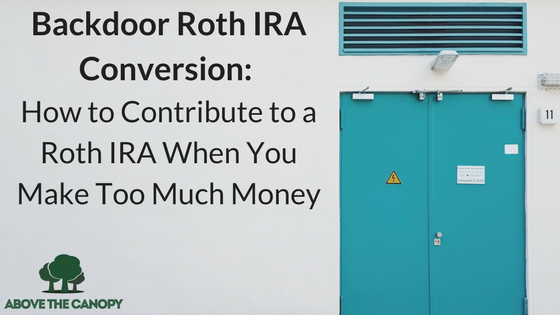 The backdoor Roth conversion allows you to get money into the Roth IRA by making non-deductible contributions to a traditional IRA. Don’t worry if this sounds complicated. We’ll go over the strategy step by step in this post. Read on to learn more. So here’s how it works. I’ll break it down into two-distinct steps. 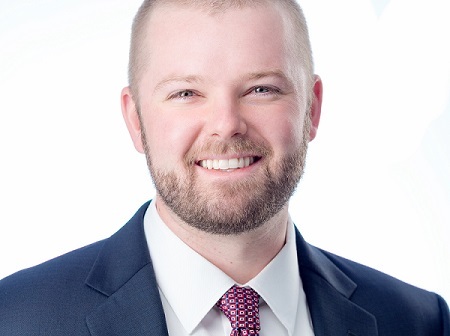 But to start, let’s review the income limitations for direct contributions to a Roth IRA. If your modified adjusted gross income on the year (MAGI) falls below the “Full Contribution” threshold, you can contribute to a Roth IRA directly. If your MAGI falls into the phaseout region your contribution limit for the year begins to fall. When it reaches the “Ineligible” threshold, you’ll be prevented from contributing to a Roth IRA altogether (at least in 2018). If this is you, the backdoor Roth conversion might be a good fit. (Here’s a review of how to calculate modified adjusted gross income).